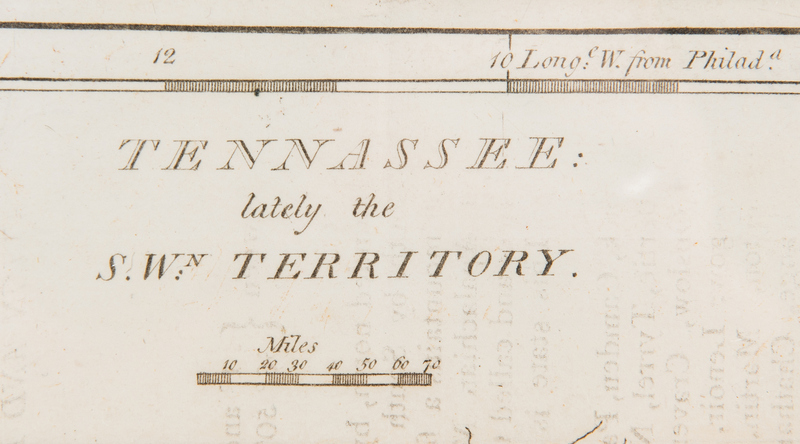 Lot 248: Carey 1796 Map of "Tennassee"
You are here: Home >> January 26, 2019 Historic Winter Fine Art and Antiques Auction >> Lot 248: Carey 1796 Map of "Tennassee"
Tennessee map, TENNASSEE [sic]: LATELY THE S.Wn. 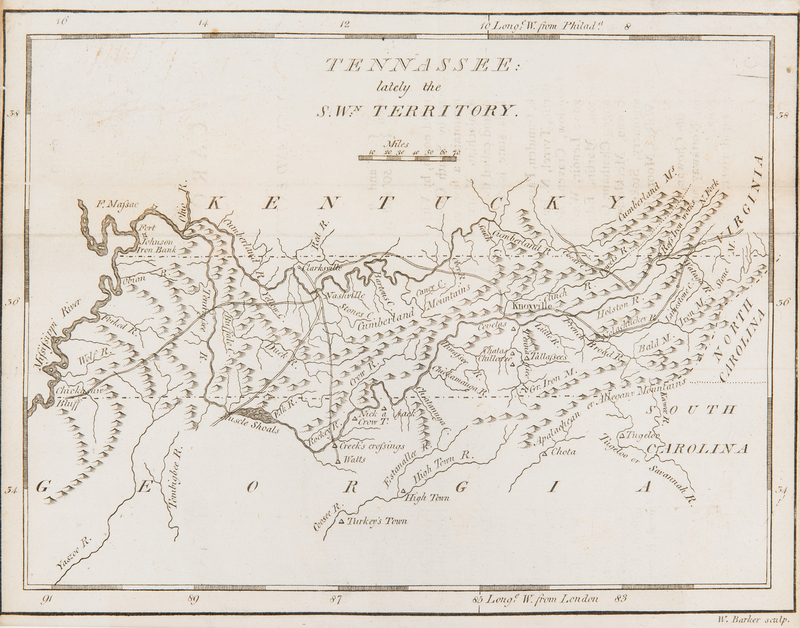 TERRITORY, engraved by William Barker, published by Matthew Carey, Philadelphia, 1796. 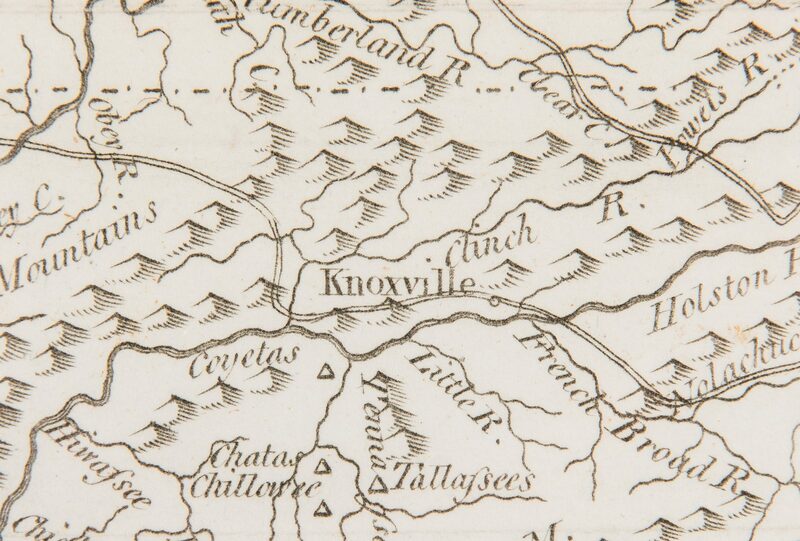 From the American Pocket Atlas by Matthew Carey. 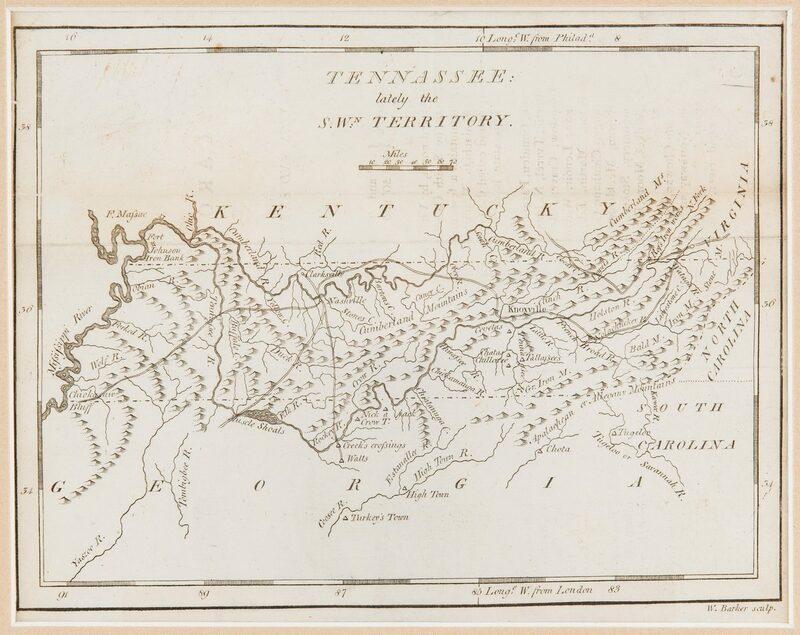 Copper plate engraving depicting Tennessee and the surrounding states with early cities and towns, including Nashville, Knoxville, Clarksville, roads, forts, rivers, bodies of water, mountains, and other areas of interest such as Ross's Iron Works and the Johnson Iron Bank. 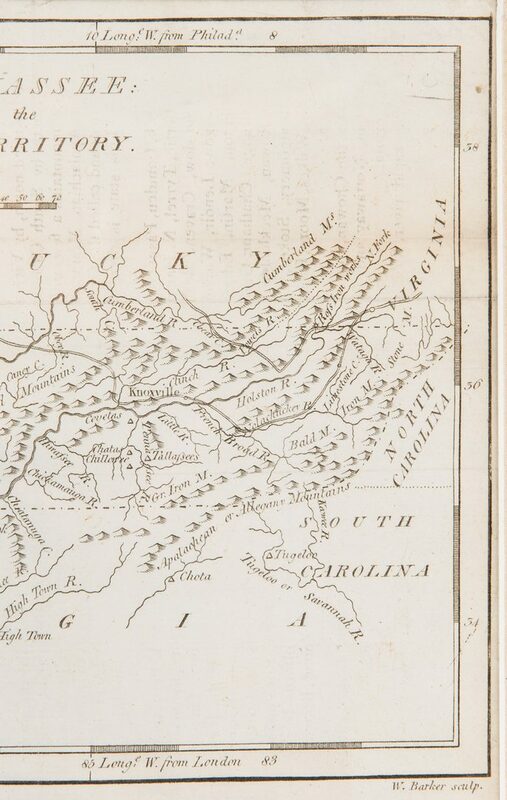 Title and scale of miles, top center. 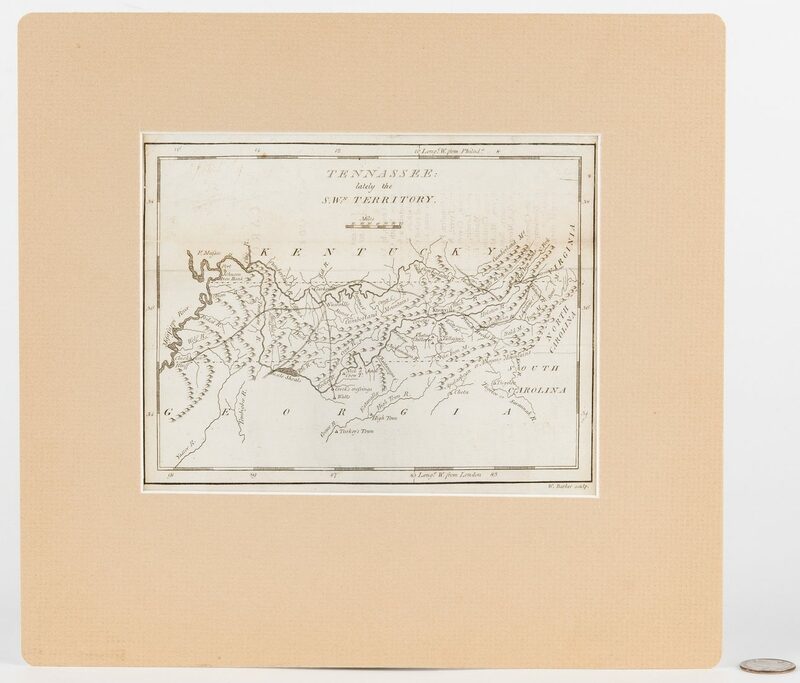 "Longe: West from Philada." 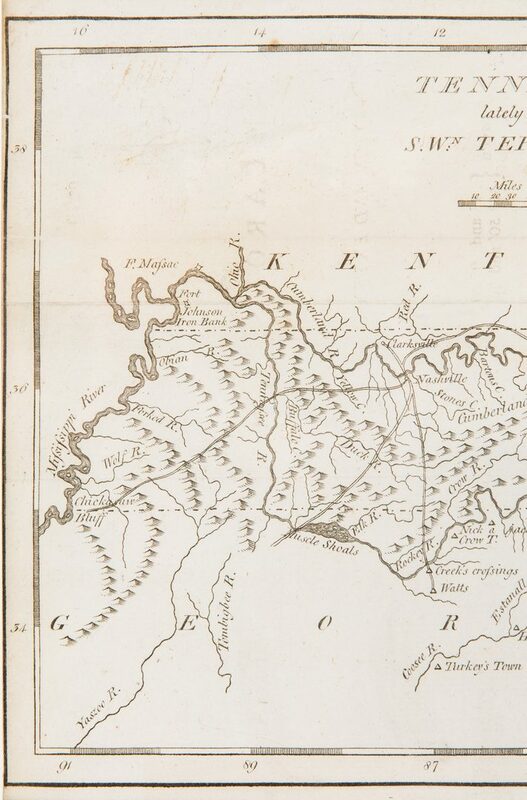 top right above map, "Longe: West from London" lower right below map. Map surrounded by scale notations and a line border. 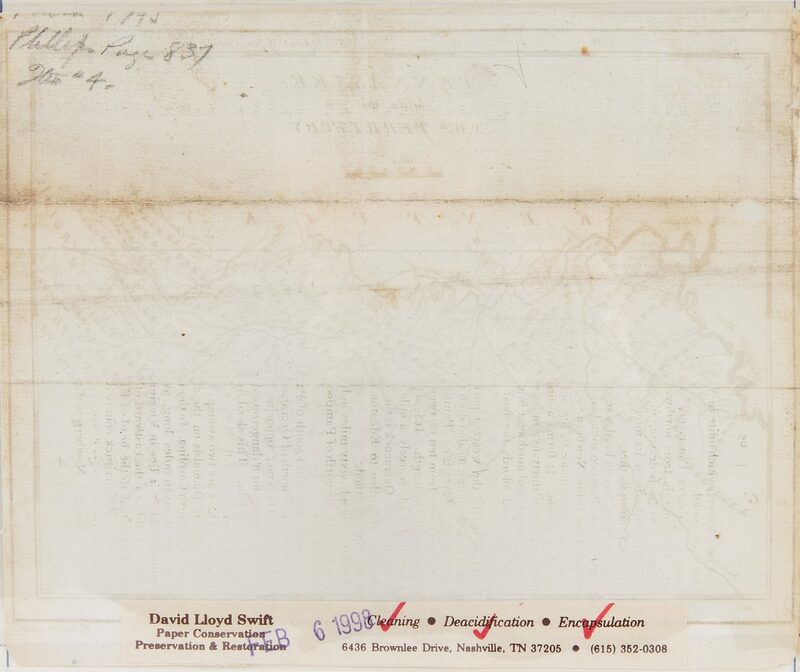 Conservator label and additional information, en verso. 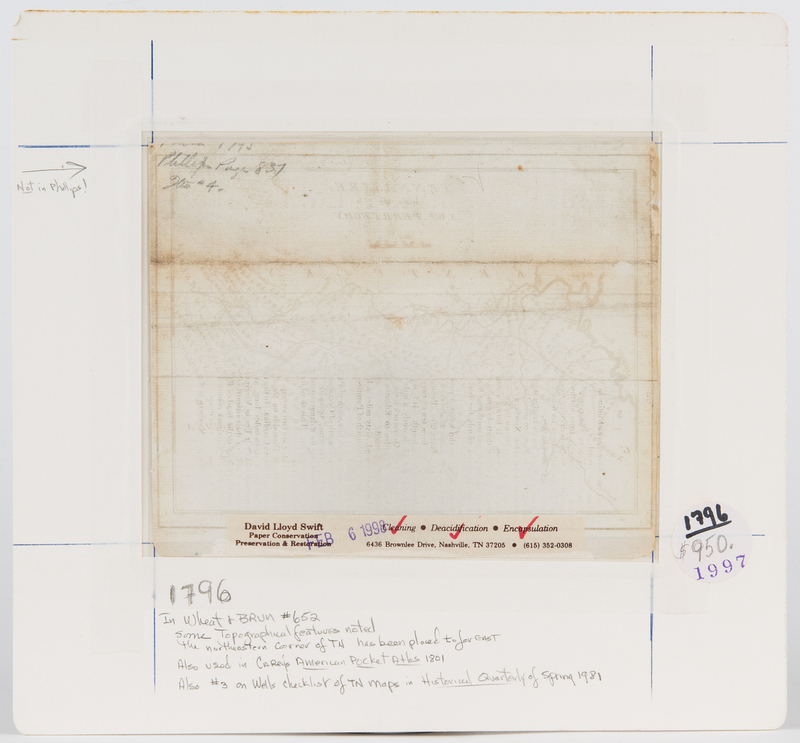 Encapsulated (not laminated) in a plastic archival sleeve and housed in a mat. 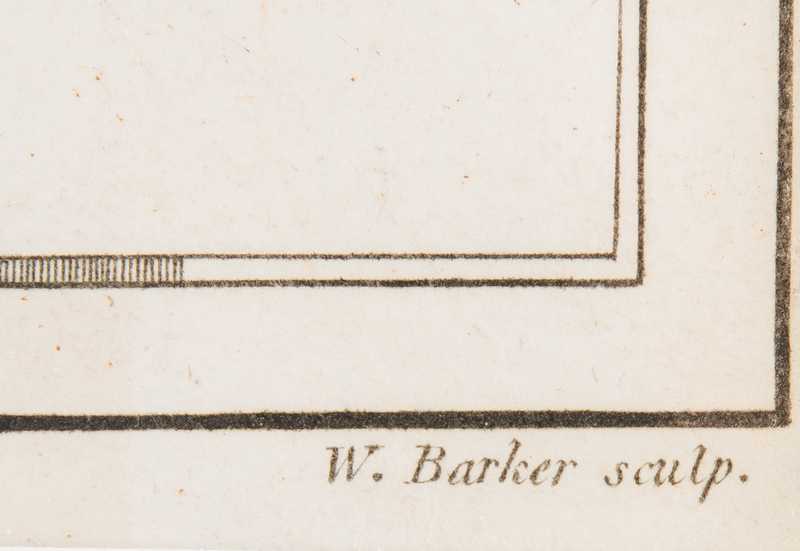 Image – 5 7/8" H x 7 3/4" W. Sheet – 6 1/2" H x 8" W. Mat – 11 1/4" H x 12 1/8" W. Late 18th century. CONDITION: Overall good condition. Encapsulated (not laminated). David Lloyd Swift label indicates that the map was professionally cleaned and deacidified on February 6, 1998. Toning impression from text page, visible en verso.